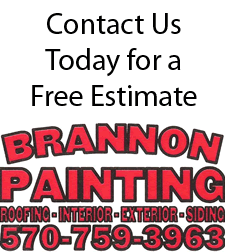 Whether it is painting the interior or exterior of your home or building, it is necessary to start with proper preparation. Thorough pressure cleaning to remove all contamination etc. Trenching: All ground area around base of house / building shall be trenched back to sufficiently paint down below ground level. Hand scraping and sanding of all loose and/or peeling paint throughout. Rotten wood analysis & repairs / Re-nailing of loose wood areas. Primer / Sealer on all surfaces prior to finish coating. Caulking / puttying of wood areas / windows where needed. Minor patching / repairing of holes, imperfections throughout. Careful moving of all furnishings.